Are Cauliflower & Cauliflower Leaves Safe For Guinea Pigs to Eat? Carrots for Guinea Pigs? Yes or No & How Much Carrot Can Guinea Pigs Eat? What Peppers Can Guinea Pigs Eat? Why Can’t Guinea Pigs Eat Cabbage? Yuca or Yucca for Guinea Pigs – Can They Eat It? Should a Guinea Pig Eat Broccolini? Beetroot and Beet Greens For Guinea Pigs? Is Capsicum/Bell Peppers Good For Guinea Pigs To Eat? Should Guinea Pigs Eat Okra? Are Cucumbers Good for Guinea Pigs? Can guinea pigs eat pumpkin leaves? Cauliflower leaves are safe for guinea pigs to eat. These should be given in moderation. Cauliflower itself – the main part of the vegetable that we eat – is also OK for guinea pigs however only in very small amounts. Many guinea pigs will only prefer the leaves of cauliflower anyway! The general recommendation is to provide cauliflower/leaves only once or twice weekly at the most. In any case, only raw cauliflower parts should be provided to guinea pigs. Never cooked. 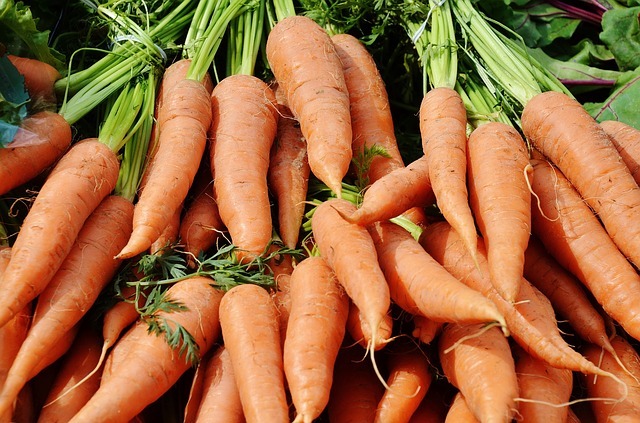 Carrots are rich in Vitamin C, but they also contain a lot of Vitamin A. So a balance needs to be established in terms of just how much carrot a guinea pig should eat, particularly in regards to other vegetables in the diet. Most guinea pigs love raw carrots (never feed cooked carrots or anything else cooked to guinea pigs), so it can be tempting to provide a huge carrot for a guinea pig everyday – but this runs the risk of providing too much vitamin A (which puts them at risk of liver damage), too much (natural) sugar, and ultimately overfeeding one food at the expense of other healthy foods. Baby carrots, rather than the large ones most of us choose to buy for human consumption, can be the best choice for guinea pigs. But if you can’t find them or just prefer to buy larger carrots, cutting them into reasonable sized pieces (equal to baby carrots) ensures that carrot-oholic guinea pigs can’t overdo it with this very favorite vegetables of theirs. Two to three times weekly in small portions is considered the standard recommendation for guinea pig carrot consumption. 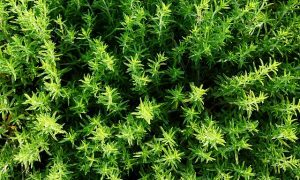 What about the green tops of carrots? Are these safe for guinea pigs to eat? Unfortunately these delicious-looking carrot top leaves are very high in calcium and are not recommended to be provided at all to adult guinea pigs. Peppers can be confusing, because they are sometimes called different names in different parts of the world. When it comes to guinea pigs, it’s vital to know which types of peppers you’re looking at or reading about. Bell peppers – these are also known as Capsicum or Sweet Peppers. These are not hot. They are very healthy for guinea pigs, being rich in Vitamin C, and recommended as a staple part of their daily vegetable diet. 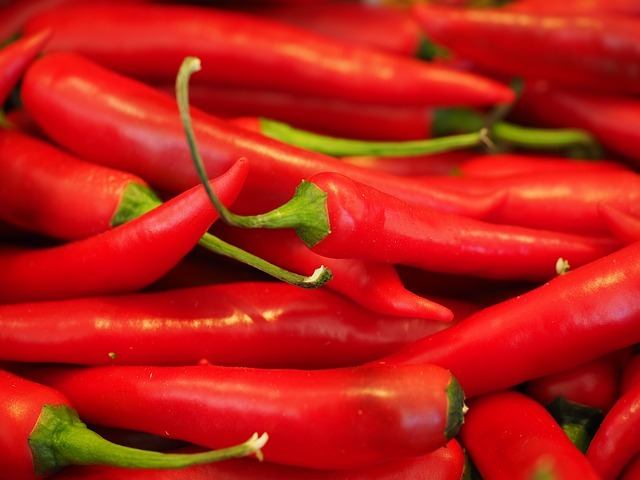 Hot chili peppers contain large amounts of capsaicin – that’s the compound that causes chili to be so hot! And as you would now if you’ve ever come into contact with hot peppers and touched your eyes or mouth afterwards: this stuff burns any sensitive areas – therefore guinea pigs should not come anywhere within sniffing distance of hot chili peppers. Actually, guinea pigs can technically eat cabbage. But this is a food that should be fed in only very small amounts, if at all. Cabbage is known to cause some gastrointestinal issues in guinea pigs, like bloating. As you might imagine, it is a very uncomfortable state for a little guinea pig to be in particularly as they are prone to a build up of gas, leading to a condition known as bloat. 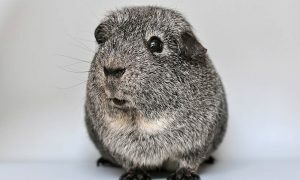 Gas buildup in a guinea pig is therefore not only potentially very painful for them, but potentially dangerous with the issue of bloat a serious veterinary concern. And a sadly common one amongst people who aren’t aware of proper guinea pig dietary requirements. For this reason, a lot of guinea pig owners avoid feeding cabbage altogether. After all, with so many other healthier options you have to ask why choose to feed something that could cause potential discomfort or more serious health issues. Avoiding bloat by feeding foods that can encourage gas buildup is so important in our guinea pigs. 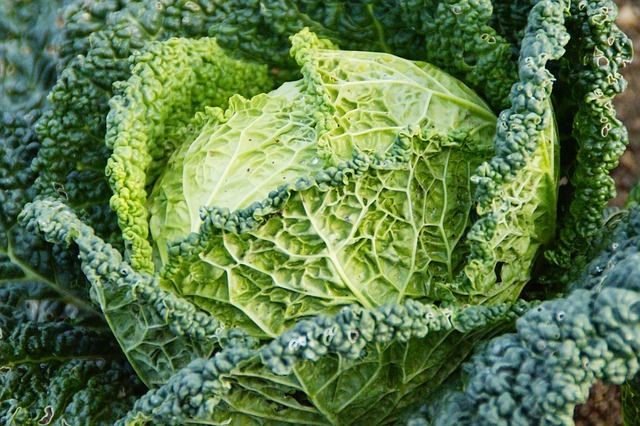 So if you really must feed some cabbage to your guinea pigs: make it a tiny amount and then move on to those healthier, gas-free foods that have significantly more positive benefits! Can guinea pigs eat yucca? What about Yuca? Asking this question is often a result of confusing the Yucca with another very similarly named plant: the Yuca. While Yucca plants are desert shrubs that many people now grow both as outdoor and indoor plants. There are different types of yucca plants, but generally they grow in a clump with often very sharp large foliage (which has even known to cause injuries to people who have inadvertently “stabbed” themselves with the sharp tip of a leaf). The famous Joshua Trees of the USA is a yucca plant. Yucca is not a plant that would be at all appealing for guinea pigs. It comes from an entirely different family of plants to Yuca, and it’s actually Yuca that people are referring to when wondering if guinea pigs can safely eat it. Cassava, or yuca is grown as a crop for people to eat the root, which is a type of tuber. It’s known to have a high starch content (30% of the root is starch) and is somewhat similar to a potato. When people eat cassava or yuca root, it needs to be cooked first. The high levels of starch in yuca needs to be considered seriously, as cassava is a high carbohydrate food and we know that guinea pigs need a low carbohydrate diet. Yuca, or cassava, just like most potatoes are really not suited as a guinea pig food item. There’s no good reason to feed it, and the high carbohydrate levels due to the starch content makes it a food item that is not considered healthy or appropriate for guinea pigs to eat. 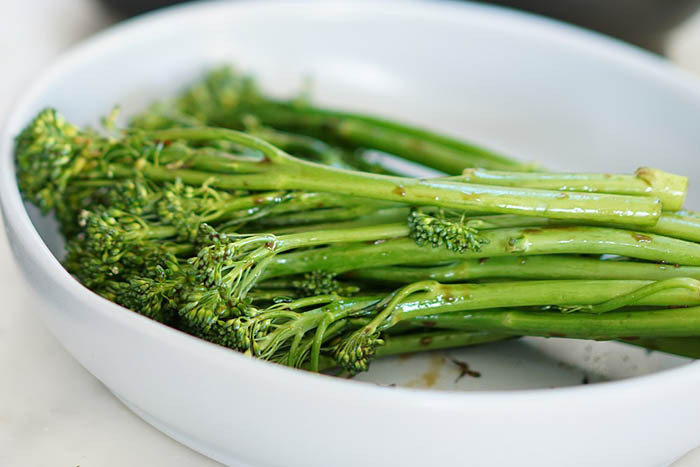 As you would guess from the name, broccolini is similar to broccoli. It looks like a miniature version of the broccoli that everyone is familiar with. Sometimes it’s simply called “baby broccoli”. Broccolini is actually a hybrid between broccoli and another plant in the same family, so it’s closely related to regular broccoli. There’s lots of vitamin C in broccolini and that’s one of its big benefits for guinea pigs- as well as a bunch of other vitamins and minerals. Vitamin A is one of these, which is an important one to balance well in the guinea pig diet. Too little vitamin A results in deficiency problems including weight loss and bacterial infection that can lead to dermatitis and in severe cases, sight problems and pneumonia. At the other end is too much vitamin A which can bring about poor bone health and defects in offspring. So broccolini is generally thought of in the same way as broccoli when it comes to feeding them to our guinea pigs. Most people are very comfortable including broccoli in the diet, including the leaves of course. 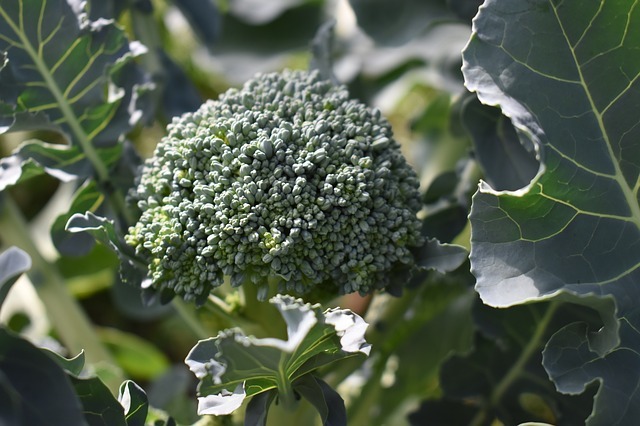 Feeding raw is the most recommended – and all of this can generally be applied to broccolini as well. Included as a small portion of an overall healthy diet, broccolini provides an excellent array of important vitamins and minerals. Some people feed their guinea pigs raw beetroot on occasion. To encourage chewing, grating or slicing with a potato peeler is the way to go. Beware though: if you’ve ever eaten (or just touched) beetroot, you know how messy it can be with those purple-red stains – and this is one reason why other guinea pig owners avoid it altogether. Beetroot contains oxalates and this is what scares a lot of people off from feeding it. Oxalic acid poisoning from eating (too many?) 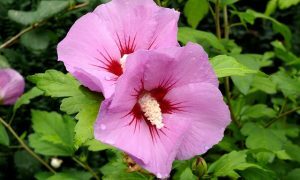 plants that contain oxalates is thought to, infrequently, bring upon risk of renal failure. Foods like spinach and rhubarb are also oxalate containing plants. What about beetroot leaves? Also simply known as beet tops – these are the leafy part of the vegetable. Beet greens or beet tops have also earned the reputation as being “toxic” or dangerous not because they are toxic (people eat them as well), but because they are high in oxalic acid as mentioned above. Doing a search on whether guinea pigs should eat beet greens or beet tops will yield you opinions from both ends of the spectrum. Many forum posts exist of people swearing that these leaves are toxic, while many other people regularly feed beet greens and don’t experience any prob;ems. As with all things on the internet, information can be passes along that may or may not be entirely accurate, only to be repeated over and over but with little or no supporting evidence to back it up. So while it’s always certainly prudent to be aware of any potentially toxic or dangerous foods, we should be mindful of taking anything as gospel without evidence. Feeding beet greens in moderation is the general consensus amongst people who are happily including these leafy greens as a small part of the guinea pig diet. This is backed up by recommendations by many guinea-pig aware vets, including for example the Veterinary Medical Associates, and various other vets who see and treat guinea pigs. 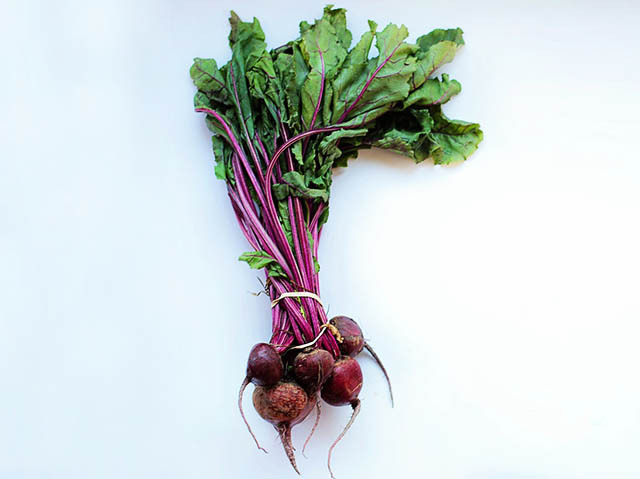 Most vets state that beet greens should be fed in moderation only – or as a treat due to the aforementioned effect of oxalic effect on the kidneys. Beet greens are high in vitamin C – and their leafy form makes it ideal for guinea pigs who need to be chewing regularly to keep their teeth healthy and not overgrown. The tops or leaves of beets are a viable addition to a guinea pig diet, particularly due to the vitamin C content, in moderation alongside their regular quality hay and grasses. Guinea pigs can safely eat capsicum, bell peppers or sweet peppers. These are the same foods, with different names depending where you live. 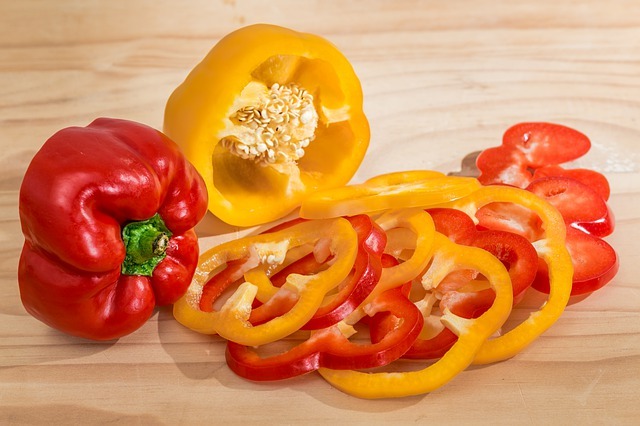 Unlike other peppers that are hot due to large amounts of capsaicin in them, capsicum or bell pepper is not hot. It does however contain excellent levels of vitamin C, which is one of the big reasons it’s a great addition to a guinea pig diet. If you love eating this food yourself, you’ll be well aware that they come in a few different color varieties – mostly green and red. You might also see yellow available. In truth, these aren’t different varieties at all, but are simply different stages of maturity. Yellow capsicum turns to green, while the green capsicum are a “younger” version of the red ones. You might think they’re exactly the same nutrition wise, just differing in color. Because red capsicum is the most mature, it has had the longest to build up the nutrient levels to their maximum. So as you might guess, it’s red bell peppers that contain the most amount of nutrients. Red capsicum can contain more than double the amount of vitamin C compared with green ones. Green capsicum is not lacking in vitamin C, so if that’s the only color you have available, it’s certainly still beneficial. But if you are able to grow or purchase red capsicum for your guinea pig: red is the way to go. The seeds in the middle of the bell pepper are best removed by cutting the entire core out. While they aren’t toxic or poisonous to guinea pigs, any risk of a choking hazard is best avoided no matter what food we’re talking about. With that said, some people do indeed provide the seed portion of the capsicum to their guinea pigs – so it comes down to your own personal decision. Eggplant, or aubergine, comes from the nightshade family of plants, which is well known for its toxic effects. 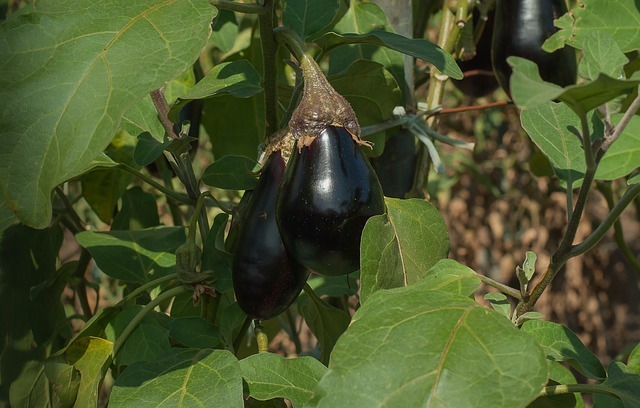 The actual plant of eggplant, including the stems, leaves and unripe fruit should never be given to or provided access to guinea pigs. Ripe eggplant (raw) is technically considered OK for guinea pigs to eat occasionally. Some people note that their guinea pigs love it, with the skin left on. As for the eggplant itself as we know it: it doesn’t contain any notable health benefits for guinea pigs so it’s not something that’s recommended to be included regularly. Some guinea pig owners feel comfortable providing small amounts of eggplant once or twice a week – while others swear by no more than once or twice a month. Ask your vet for specific advice about your individual guinea pigs if you’re really keen to feed eggplant as a treat. Vitamin C levels are low in eggplant. Oxalic acid levels are also relatively high, which makes it a big reason not to make a regular part of the diet. The same applies to beets, as outlined in that article. Never feed the greens of eggplant to guinea pigs as they are certainly toxic. Okra is a delicious (for humans) seed pod that comes from the same family of plants as cacao – where chocolate comes from! Okra has nothing to do with chocolate. Okra is a very seedy, and quite slimy food. this is due to a substance similar to that which you might have seen when snapping an aloe vera or other cactus plant – a mucous of sorts. That sounds hideous, but for us to eat, it’s perfectly fine and adds to the texture of okra. People eat both the okra seed pods and the leaves of the okra plant, in either a raw or cooked state. 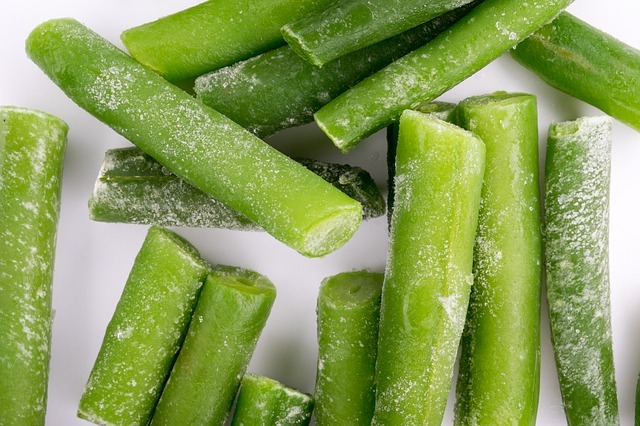 There’s a lot of water content in okra: up to 90% of it is water. It’s very low in fat, has a little bit of protein and some carbohydrates. It’s well known for its dietary fiber content though which is relatively high. It also contains much valued Vitamin C.
Okra is not a particularly common food, so there’s not a whole lot of information regarding its suitability for guinea pigs. It’s not toxic though. Compared with a lot of other vegetables, asparagus contains a moderate level of vitamin C (although it does also contain a bunch of other vitamins and minerals). 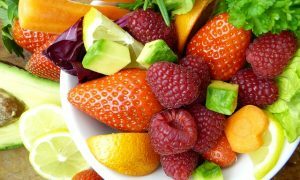 It’s most dominant vitamin is in fact vitamin A.
It’s one of those foods that’s recommended to be offered only occasionally and in moderation, if you choose to offer it at all. Many people note that some of their guinea pigs will take interest in asparagus, while others ignore it completely! Raw asparagus is what should be offered to guinea pigs. Some people notice a slightly different (potentially mildly unpleasant) odor to the urine after a guinea pig eats asparagus – and this is something that happens to people as well! There’s a scientific explanation to back this up, so if your guinea pig does indeed munch on the occasional bit of asparagus and you notice something off with the urine smell: you’re not imagining things. It’s caused by the presence of a compound that is sulphurous in nature, and which is the same compound that gives the strong stench to rotten eggs and the strong scent of onions and garlic. Cucumber is a low calorie, refreshing fruit (and yes it is a fruit) that contains some beneficial nutrients for guinea pigs, including Vitamin C.
Compared to many other foods though, cucumber is not particularly nutrient dense. Cucumbers are made up of over 95% water! Cucumber is safe for guinea pigs to eat cucumber. But unless you’re growing your own purely organic cucumbers, they should be washed and peeled (then washed again) to remove as much pesticide residue as possible. 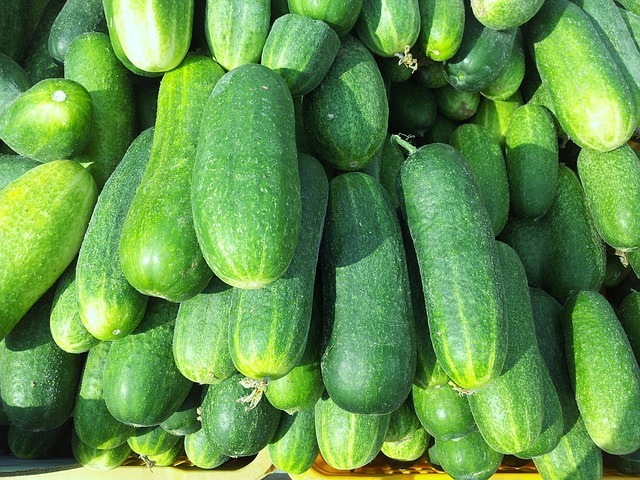 One study showed that careful washing and peeling of cucumber does result in removing between 63%-93% of the most commonly used pesticides of cucumbers grown in commercial greenhouses. On the downside, this still means of course that you’re unlikely to ever be able to remove all chemical residues – on any food. This makes a strong case for growing your own if you can (they also taste better!). Additionally, if you have your own home grown organic cucumbers, you can confidently feed it with the peel on – something a lot of guinea pigs love. Due to the low nutrient profile of cucumbers, it’s thought of as an occasional treat to feed in moderation and in small amounts. And although seeds are always something to be careful of with guinea pigs, cucumber seeds don’t present a hazard because they’re soft. Guinea pigs can eat all parts of broccoli: the head (floret), stalks/stem and the leaves. Broccoli stalks are nice and firm which are great for guinea pig teeth – and many pigs prefer the stalkes, stems and leaves to the actual floret part that most humans like best! Broccoli is only recommended to be fed in moderation, as too much can cause gas and bloating in some guinea pigs. If they haven’t had broccoli before, starting with tiny amounts is recommended. Even then, broccoli is really only recommended to be given sparingly and not everyday. Broccoli, like all vegetables, should only be fed to guinea pigs raw. Don’t give cooked broccoli to guinea pigs. 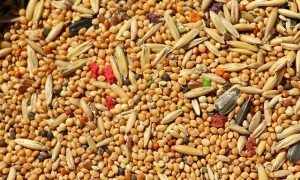 Should you consider corn as a vegetable to feed to guinea pigs, or is this a grain to avoid? 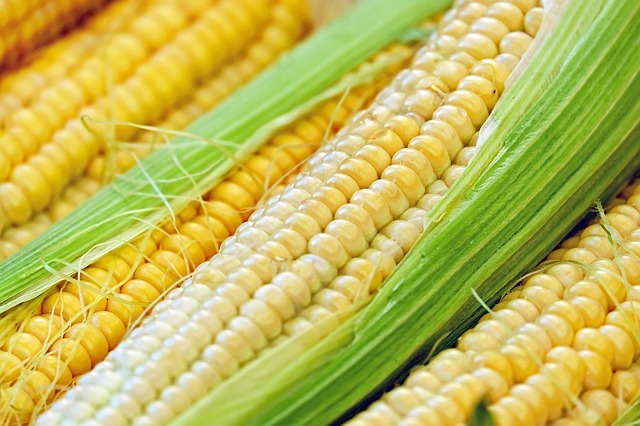 Corn, or sweet corn as the most common type is known, is a starchy grain which means its quite high in carbohydrates. Corn is generally thought of as a vegetable, even though its technically a grain, so compared with much healthier vegetables corn is carbohydrate rich. Guinea pigs can ear corn on the cob. 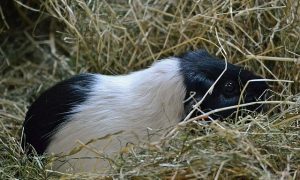 They can also munch on the stalk – and many guinea pigs love to do that! The entire corn cob can be given (in an appropriate size; many cobs are huge) – including the outer leaves. But this should only be done if you’re certain the corn has been organically grown with no chemicals. Additionally, the corn should be fresh and checked for mold. One of the golden rules for feeding guinea pigs is that food should never be cooked: always feed raw food only to guinea pigs. And that applies to corn as well. Baby corn is literally exaxctly that: part of the corn (called the ear of which there can be several) is harvested early, before it can mature into the much larger corn cob normally known as sweet corn. The great thing about baby corn is that the entire thing can be eaten including the cob in the middle which is still tender rather than the tough central cob of mature corn. These cute little baby corns are an ideal size for guinea pigs – and they can eat them. Radish and radish leaves are safe for guinea pigs to eat in strict moderation. But there are things to know about this food, which helps in understanding how often is safest to provide radish. Generally it’s a food considered to be suitable for guinea pigs to eat occasionally. One of the main reasons for this is that radish is quite high in oxalates, with oxalic acid making up the bulk of the oxalates in this plant. Excessive oxalic acid consumption can lead to renal failure in guinea pigs, and put them at risk of other problems like kidney stones. While it would take a lot to lead to severe renal disease, moderating their consumption of foods that have a high oxalic content is clearly in their best interests. 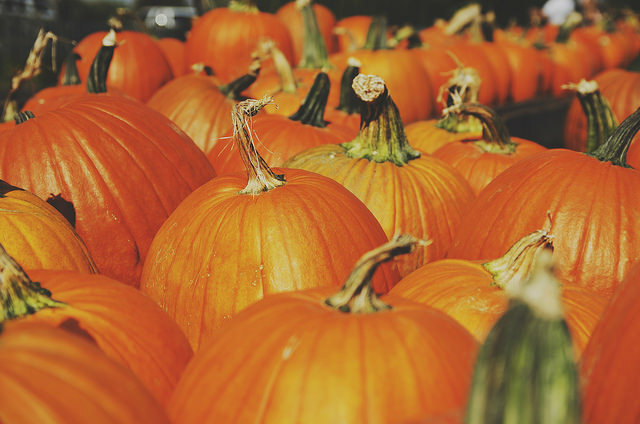 Canned pumpkin is generally considered to be OK occasionally, and is sometimes used to help administer medicine; however ensure any canned pumpkin contains NO additives like salt or other preservatives or any other ingredients. No, pumpkin seeds are very large and are a choking hazard for guinea pigs. These are also sold as a dry product, often called pepitas. Needless to say, these large seeds are off limits for guinea pigs. If you’ve ever grown pumpkin plants you know how quickly they can populate the garden – and if your piggies are foraging supervised outdoors then you’ll want to know whether it’s safe for them to access pumpkin plants at all. Well, the leaves of pumpkin plants are not very enticing – they are fuzzy with tiny hairs on them. People do eat them, but only after cooking them. That doesn’t apply to guinea pigs though. Pumpkin leaves are also calcium rich. Green beans, or string beans, are safe for guinea pigs to eat. And they should only be given raw, like all vegetables. Beans are actually a type of legume; and while many legumes aren’t safe for raw eating, green beans are perfectly fine. 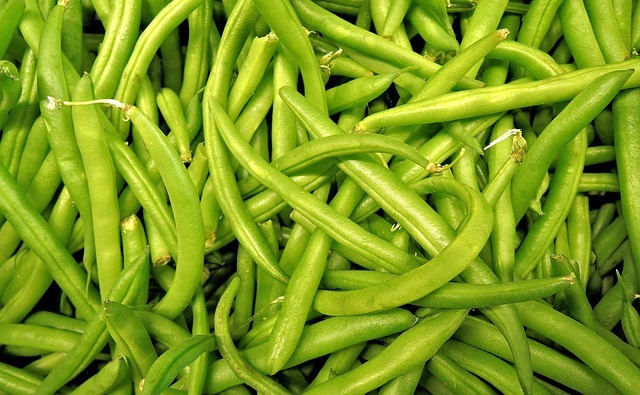 Snap peas are another similar type of bean which can also be fed raw to guinea pigs. Green beans are considered as a moderation-food for guinea pigs: a bean once or twice a week often goes down a treat with those pigs who’ve acquired a taste for them! 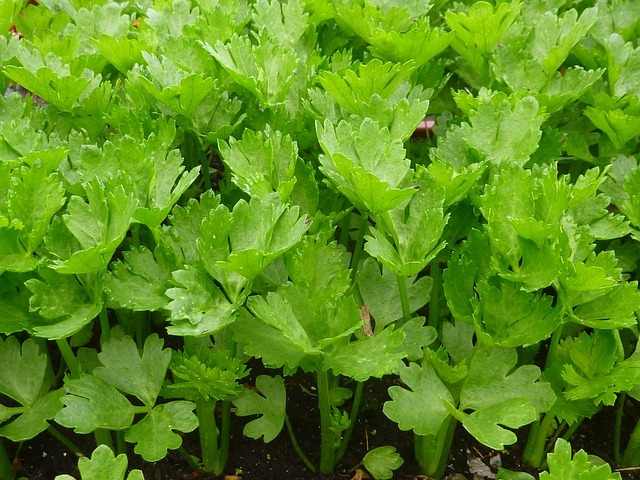 Celery is made up of almost 95% water. 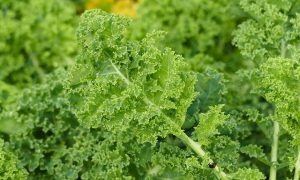 It is also rich in Vitamin K in particular, and also contains Vitamins C and A. Celery is also quite high in calcium which needs to be kept in mind when it comes to our guinea pigs. It also makes the top 10 list of most pesticide laden foods out there – that’s not a good list to be on. That means if you’re not buying legitimate pure organic celery, there’s going to be pesticide residue on it. Guinea pigs love to eat celery leaves though, and they can also eat the stalks. Growing your own is ideal as you can completely control the no-use of chemicals (as long as you can find a way to keep pests at bay!). Giving celery stalks to guinea pigs, although it seems like a great idea since they are nice and crunchy, can present some risks due to the stringy nature of the stalks. Therefore, cutting celery stalks into small pieces is the safest way to go about it. You can also try and remove or peel as much of the stringy stuff off as you can. Turnips are safe for guinea pigs to eat. Some will love it, others won’t want anything to do with it (doesn’t mean you can’t keep trying though). Not a whole lot is known about turnip nutrition as it relates to guinea pig health, but generally it’s thought of as a food to be fed sparingly – once every couple of weeks or so. Turnip does have quite a high level of Vitamin C in it which is a positive benefit. Can guinea pigs eat turnip greens? Turnip leaves have high levels of calcium in them so their consumption needs to be moderated.